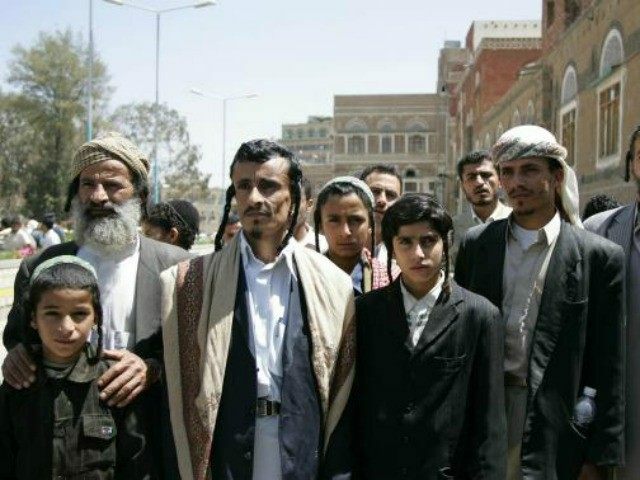 THE VERY LAST JEWS OF YEMEN……. – The Tundra Tabloids……. THE VERY LAST JEWS OF YEMEN……. When I was in Israel in the mid 80’s, I befriended a Yemenite Jew, actually two of them, they were brothers, some of the nicest people you could ever know. They were a part of the great exodus of Jews from Yemen to Israel in 1950. Just a handful of Jews remain in Yemen, and the remaining few are said to be contemplating an emergency exodus to Israel or the United States after the Iran-backed Shiite Houthi militia staged a coup and overthrew the government. The 70 or so remaining members of Yemeni Jewry, who have a history that predates Islam by thousands of years, live in a situation that remains comparable to “house arrest,” the New York Times writes. “Since last September, our movements have become very limited for fear of the security situation, and there are some members of the community who preferred to leave Yemen,” chief rabbi Yahya Youssef told Reuters. Because of the hostile Iran-backed Houthi militia that now runs the country, “there isn’t a single one of us here who doesn’t want to leave,” Suleiman Jacob, 45, told the New York Times. Under Muslim rule, Yemen’s Jews remain a heavily persecuted minority. They are subject to a jizya tax for their faith, and live very much as second-class citizens. Jews are also forbidden from even touching Muslims or eating within their vicinity. In return for their compliance, Yemen’s former governments protected its Jewish community, but the Houthi takeover has created an unpredictable situation for its remaining few. Previous Post Previous Post GIULIANI: OBAMA HAS VERY FEW NICE THINGS TO SAY ABOUT US……..
Next Post Next Post OH THE IRONY: MUSLIM SNOOKER PLAYER SPONSORED BY ‘ISIS’…….